For 61 years the St Lawrence II has been training young sailors from Kingston and beyond in the art and skill of Tall Ship Sailing. 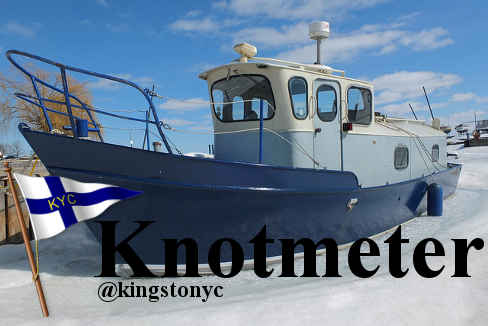 Designed here in Kingston by Francis McLachlan and built at the Davis Dry dock, St Lawrence II has been Kingston’s maritime ambassador since 1953. Join us this Friday at the Club to hear about the ship’s history from Francis, and the sailing opportunities on board this summer from the Captain and crew of the ship. 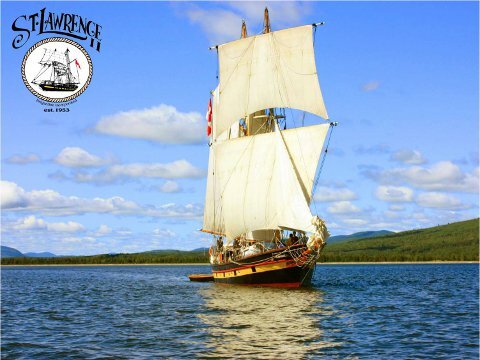 This Year the ship will be offering voyages for 12-18 year olds from periods as short as 3 days to a week, so bring your kids or grand kids to meet other young crewmen from last year’s cruises to hear about their unique life experiences on St. Lawrence II. 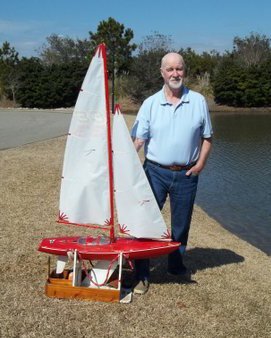 John Lowther won the 4 day, 36 race Frostbite Regatta organized by the Charleston Model Yacht Club. The races were sailed in light, shifty winds, very different from the conditions experienced at KYC. 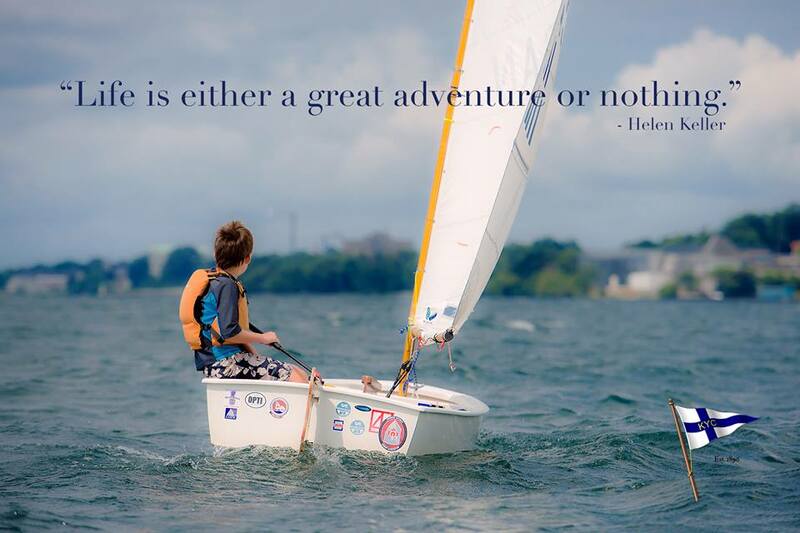 In all, 15 Solings competed in the regatta. Two other Canadians placed well, Julian Whittaker of Port Dover, Ontario came 5th and Paul Bryant from Peterborough, Ontario placed 7th. 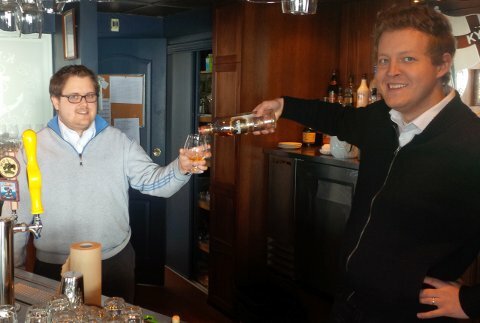 Congratulations to John, and our other Canadian Representation! 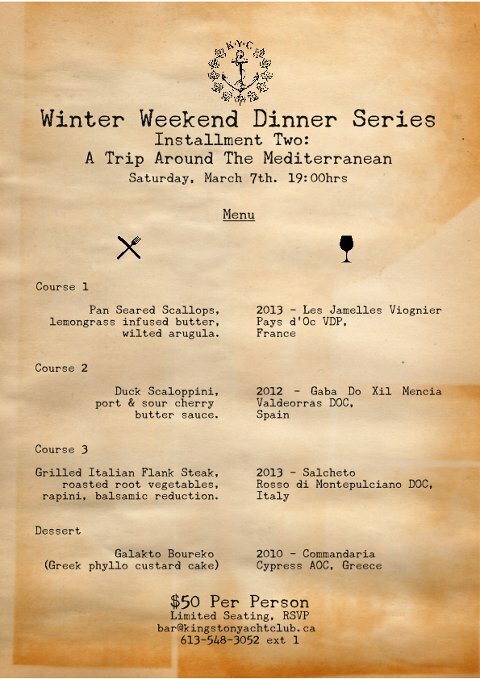 Menu and Scotch selections TBA. 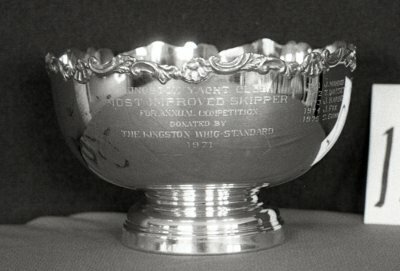 It has been a long-standing policy of the Kingston Yacht Club that the club’s prized trophies are to be permanently retained for display at the club. Even after being awarded at the Annual KYC Awards Banquet, for example, KYC’s trophies remain at the club after the evening draws to a close. Once their engravings have been updated, these heirlooms are then returned to their display cases, where they can be enjoyed by all KYC members and their guests. 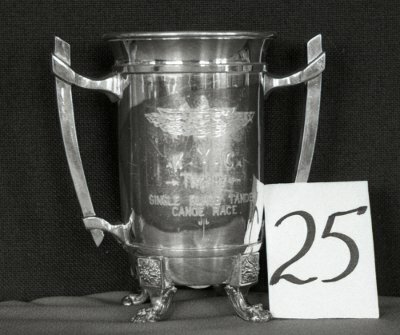 KYC Trophy BOLO - Single Blade Tandem Canoe Race: (pictured above) The Single Blade Tandem Canoe Race Trophy is a double-handled sterling silver engraved tankard, standing on four ornate claw feet. It measures 19.5cm (just over 7.5 inches) in height, 12cm (4.75 inches) across at the opening, and 19cm (about 7.5 inches) wide at the handles. It has been awarded to the KYC Laser Masters Fleet Champion and was last seen in 2012. KYC Trophy BOLO – Kingston Whig-Standard Trophy: (pictured above) The Kingston Whig-Standard Trophy is a sterling silver plated bowl, engraved and decorated with ornate filigree. It measures 13cm (about 5 inches) in height, 20.5cm (8 inches) across at the opening, and sits on an 11cm (just over 4 inches) in diameter circular base. It has been awarded to the Most Improved KYC Skipper and was last seen in 2013.